James DiGeorgia, the founder of the Gold & Energy Advisor and wunderkind, a self-made millionaire before he turned 21, turning a hobby of coin collecting he began at the age of seven into a multi-million dollar business while still a teenager. Remarkably, James launched his first rare coin business, Gem Coins, in Connecticut in 1976 in Danbury's North Street shopping complex while he was still a junior in high school. As the bull market in silver and gold from 1976 though 1980 gained momentum, James was able to generate over a million dollars in profits from less than $25,000 he obtained from his childhood collection. Graduating from the University of Western Connecticut in 1980, completing a BA in Economics in just 3 years, he went to work over the following 10 years for some of the most prestigious precious metals and numismatic firms in the world. 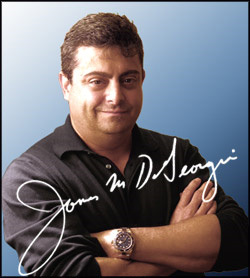 James DiGeorgia has extensive experience in precious metals and the energy markets, and is considered one of the world's foremost authorities in both sectors. James is the author of the best selling book "The Global War for Oil" and "The New Bull Market in Gold: $1,000 Gold and the Many Ways to Profit from it". James is also the author of the "Insider's Guide to Buying Gold, Silver and Rare Coins" and co wrote what many consider the definitive book on Options Trading "An Investor's Guide to Understanding and Mastering Options Trading". James has been frequently quoted as an expert in The New York Times, USA Today, Los Angeles Times, Money magazine, The Chicago Tribune, Time Magazine, AP News, Bloomberg, Barron's and literally dozens of mainstream online and traditional financial news publications. James has also appeared on the BBC, BBN, FOX's Cavuto and Company, and Street.com as a precious metals, oil and energy expert. 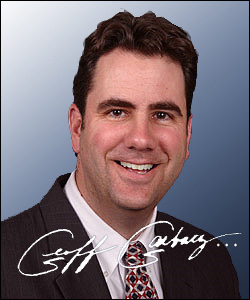 Geoff Garbacz is the co-founder and one of two principals in Quantitative Partners, Inc. (QPI). QPI is responsible for the marketing and support both to institutions and individuals of Phil Erlanger Research and Jefferson Research who produce Erlanger Squeeze Play and Torpedo Watch. QPI also has worked with Superstock Investor to develop relationships with Whisper Number, The Madison Letter, Jim Patterson and Blue Hawk Research. Geoff is a frequent contributor to the Technical Section of The Morning Briefing. Geoff and his team at Quantitative Partners have over 36 years of experience on Wall Street. Prior to the formation of QPI in 1995, Geoff worked for The Robinson Humphrey Company from 1990 to 1995. Before that he worked for Capital Institutional Services (CAPIS) as an institutional sales person covering accounts in New York from 1986 to 1990. Geoff is a graduate of Gettysburg College with Bachelor of Arts in Political Science and a member of the Phi Kappa Psi fraternity. Geoff and his wife reside in Madison, Wisconsin.